Got started about 3pm and hit a few of my normal go to docks. Nothing happening. Decided to run towards the back of a creek arm and scan secondary points. Got lucky and found a good one with a bunch of shad and crappie in short order. Took me and my buddy about an hour to get our two limits. 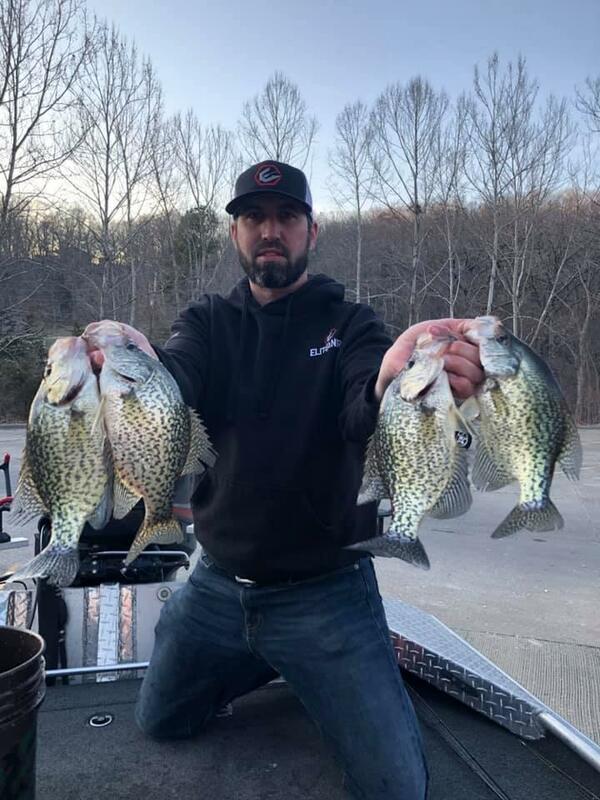 Lots of nice black crappie. Several were 12-13". A few white crappie mixed in as well that weren't nearly as meaty as the blacks. 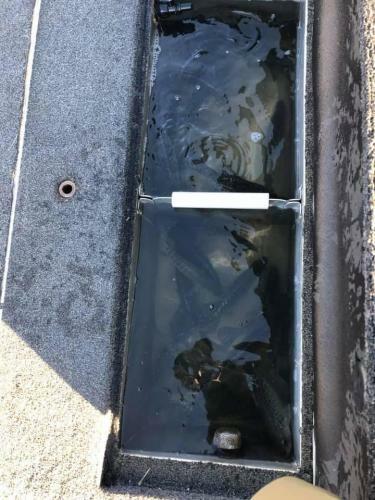 The fish were anywhere from 2' off the bank to directly under the boat. My buddy used Monkey Milk and I used black/chart and orange/chart and we went fish for fish nearly the entire time so color didn't really matter.